I have been wanting to see this for ages now. Admittedly, I am not a huge Marvel fan but I do enjoy some of the films. I really like the first Thor (2011), but am not that fond of the second. (As always I won't go fully into the plot and I will attempt not to put in any spoilers. I will simply give my opinion of the film). After seeing the trailer for the new Thor instalment however, I was very intrigued. Encompassing the same traits as other superhero films, this motion picture is funny, full of action-packed-CGI-heavy scenes and is very similar to The Guardians of The Galaxy films (which I love). There are so many different parts to this film that you are kept entertained throughout. Imprisoned on the planet of Sakaar (ruled by the wonderfully eccentric Jeff Goldblum) and without his mighty hammer, Thor has to fight in a gladiatorial contest in order to get back to Asgard and to save it from destruction by his evil sister Hela. Fighting against the hulk in the contest, it is a fight against time as Asgard is on the eve of Ragnarok. Set two years after The Avengers: Age of Ultron, the relationship between Thor and the Hulk isn't as simple as it seems. Discovering that his father Odin (played by the brilliant Anthony Hopkins) is not as innocent as he thought, Thor has to prove his strength and power in order to save his civilisation. The pairing of Chris Hemsworth as Thor and Tom Hiddleston as Loki, is once again brilliant. The chemistry between them works wonderfully with the plot and their acting is excellent. Cate Blanchett joins the cast as Hela - Goddess of Death, as well as a small scene featuring Sam Neil pretending to be Odin, Luke Hemsworth as Thor and Matt Damon as Loki. Benedict Cumberbatch also features as Dr. Strange, in a scene in which is funny and adds to the development of the film. Tessa Thompson also shines as Valkyrie, who is a badass fighter, standing strong against the otherwise heavy male-led cast. 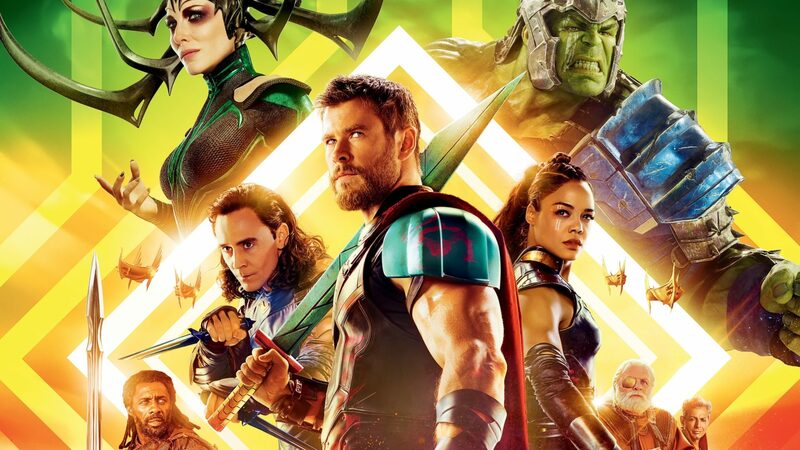 Easy to watch and keeping your attention throughout its runtime, Thor: Ragnarok is brilliant. Fantastic visuals and an interesting plot, this is definitely one of my favourite Marvel films for sure. - shoutout to Korg too - he is awesome.